3) Your credit card's online shopping function not yet activated. In general, each credit card spending limit can be cumulated to HKD25, 000 (sum up all previous spending). 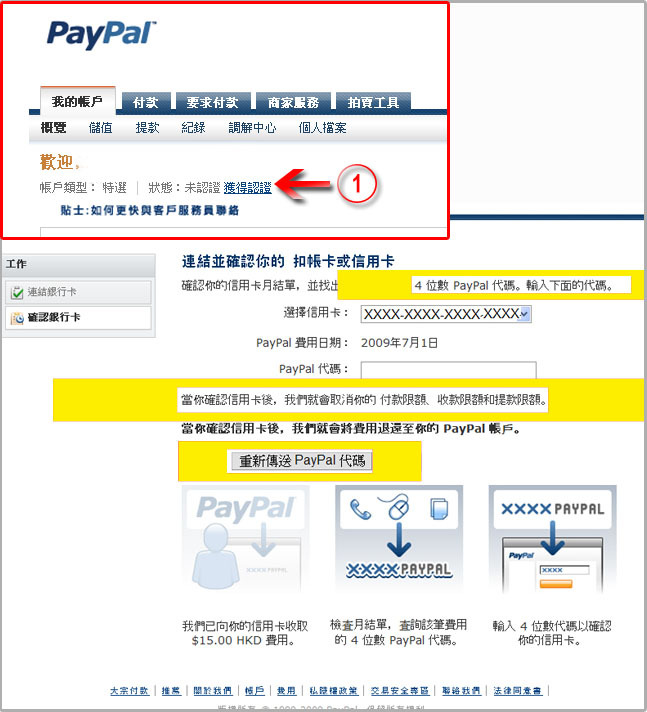 Solution ---> login to your PayPal account, click "get verified" in the homepage >> Click "Link my card" >> (input the 4-digit PayPal code) .After confirmation, the payment limit would be canceled. Note: While verify your Credit Card, PayPal will charge this card $15.00 HKD or equivalent to make sure it's yours. PayPal will refund the money into your PayPal account within 24 hours after you confirm your card. The other reason of the limit problem maybe due to you required your credit card company to set a limit for online shopping.